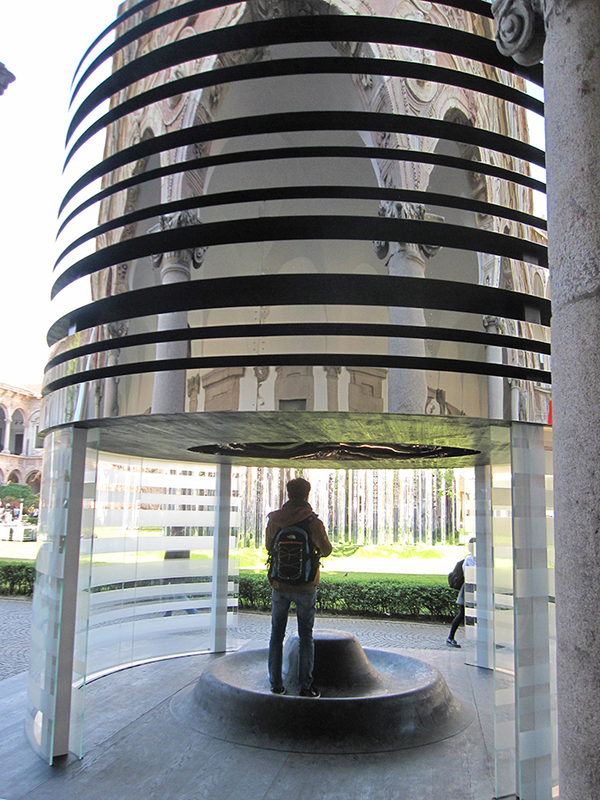 Every year, Milan proves to be the directional barometer of design. 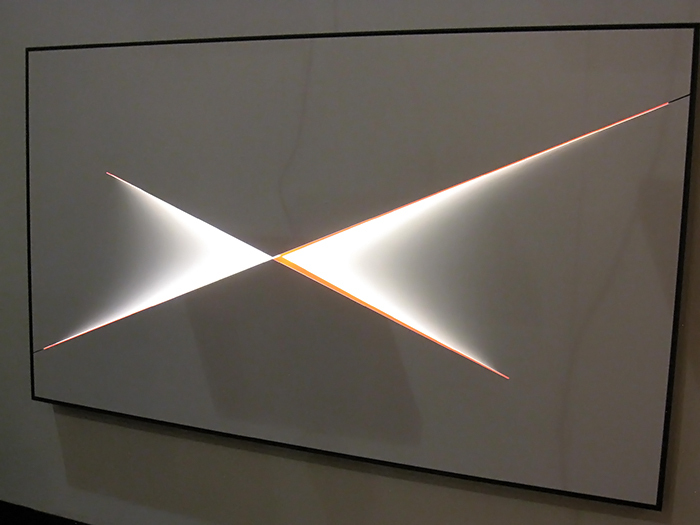 2015 was no exception, with EuroLuce as the theme, “highlighting” spaces and environments all around the city. 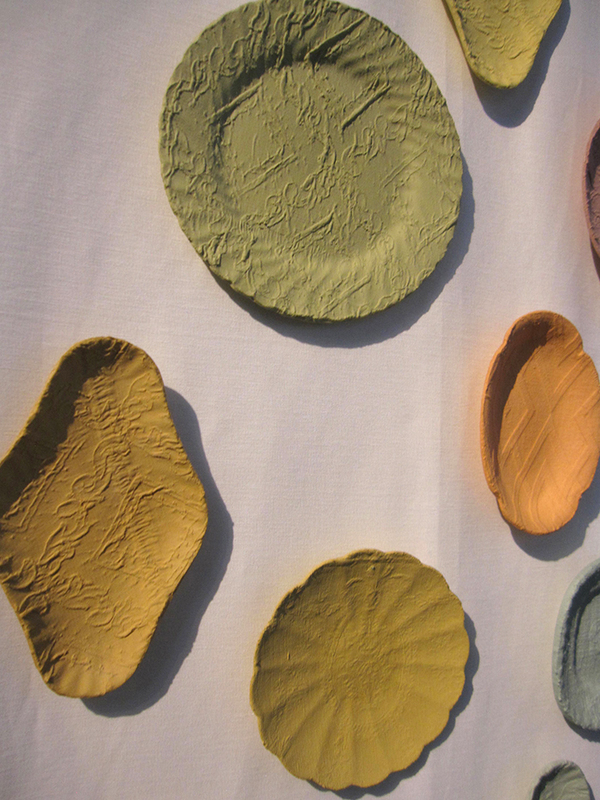 In this edition of The ColorVoyant Watch, I will outline notable trend directions, which include Color, Return of Green, Reveal, Laced Up, Inlaid, Food, Marble and Reflective Environments. Color was a huge theme throughout Milan. 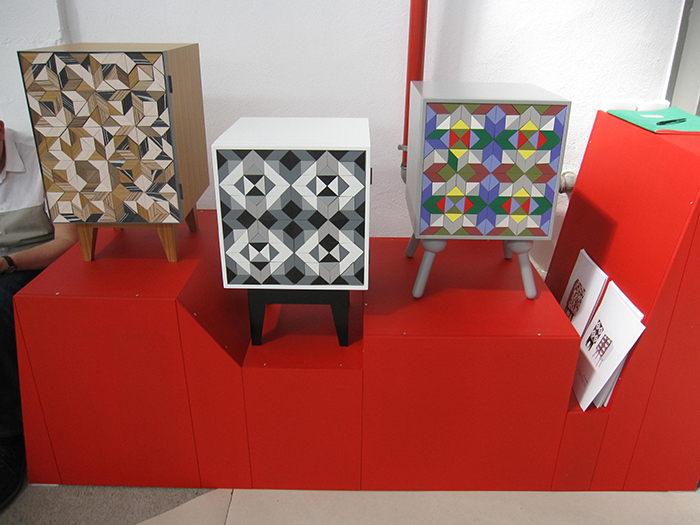 From young designers to established design companies, the emphasis of color was translated in the form of color texture, pattern and defined shapes. Colored lighting, in its purist prismatic form, was lit all around the city. 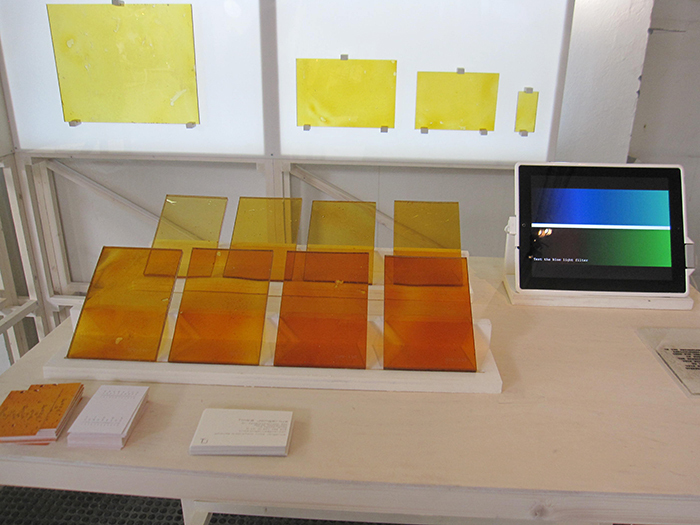 From Finland’s backyard, Leben, created by Aalto University School of Arts, Design and Architecture for Satellite 2015, explored the softness of color with a translucent touch in glass. 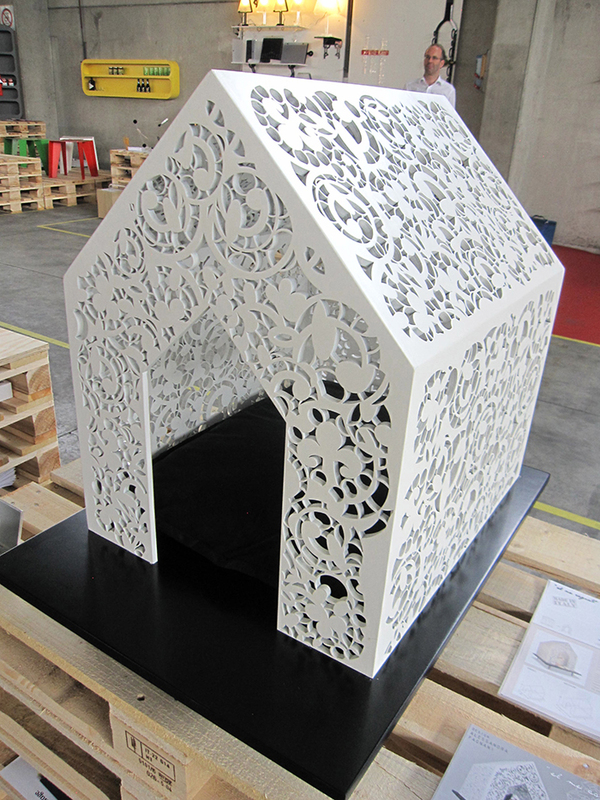 The Next Habitat exhibition, sponsored by the Willem de Kooning Academy of Rotterdam University, presented visions of future habitation from a collective of designers addressing the human relationship with resources, disposability, communication, energy and light. 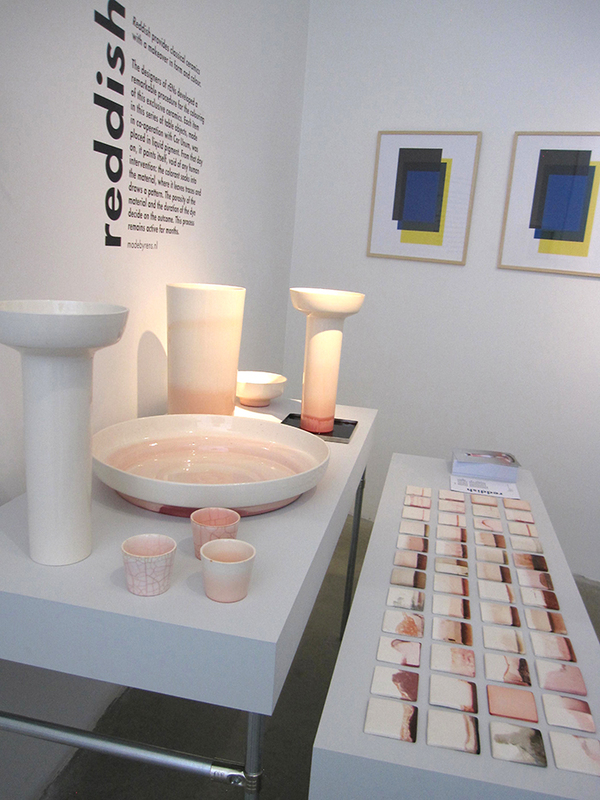 Two designers, Federica Dellisanti and Tinka Jongerius created SPF (Sugar Protection Filter). 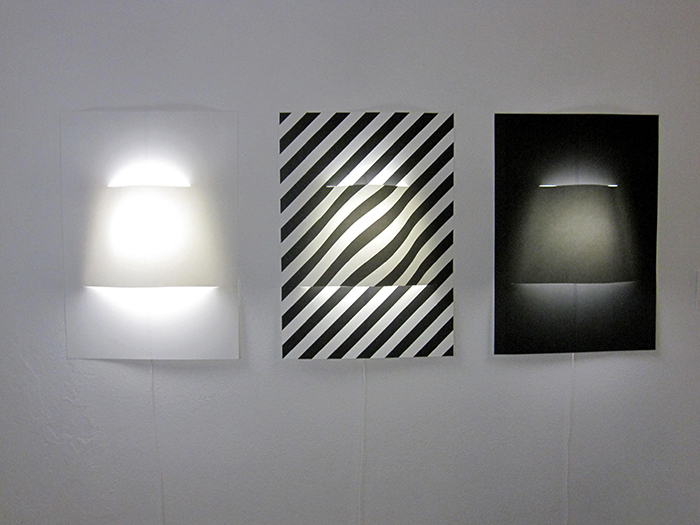 The basis of this project was how the use of artificial light has negative effects on the human body. Exposure to blue light results in the disruption of sleep. With this premise, they used sugar, also an unhealthy substance for our bodies, and transformed it into an organic protector. They made filters of melted sugar in a range of orange shades that are based on the natural process of caramelization. These orange sheets are used to cover the blue light emitted from computer screens, turning them into green screens, therefore protecting the body. 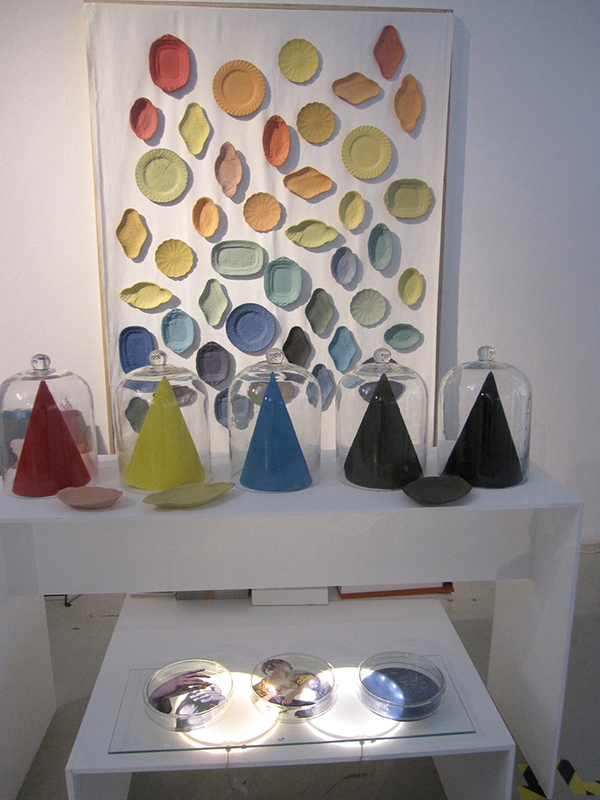 Fade to Stay by rENs uses light and time to reveal how colors transform into new gradients. 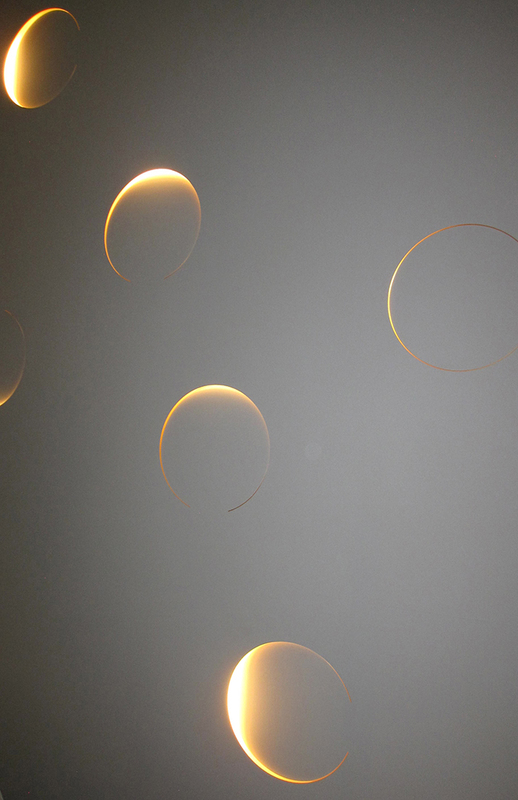 It is the start of a research into the aesthetics of fading. 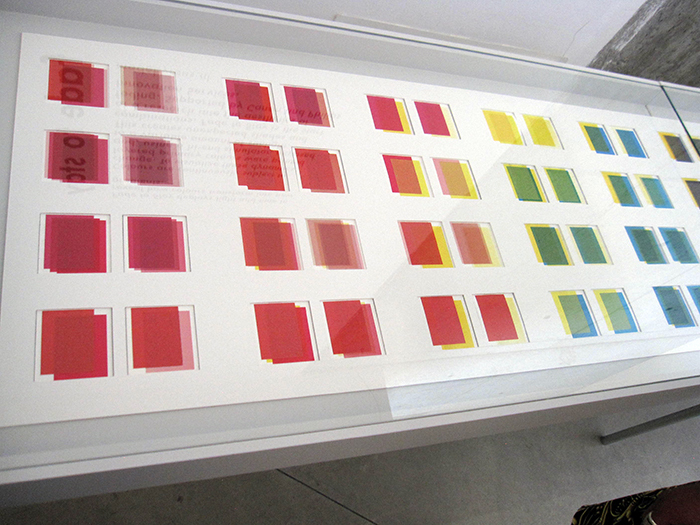 Using a high-end simulator, these colors are layered primary colors that are printed and exposed to variable amounts of sunlight. If there was one color abounding into the color scene, it was green and the spectrum of green as a monochromatic statement of color texture. Here are a few of the impactful reads on green around the city…note the grass green coverage in all of the images. 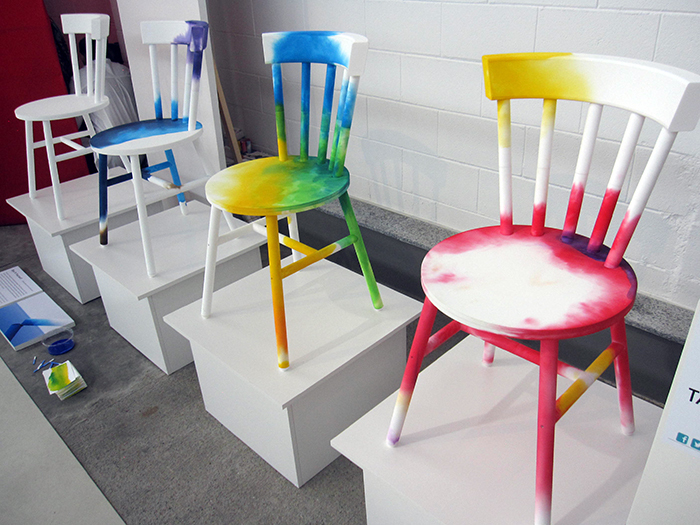 Peal back the surface and discover what colorful, glowing effects reveal. Experience the Internal color glows that from within. 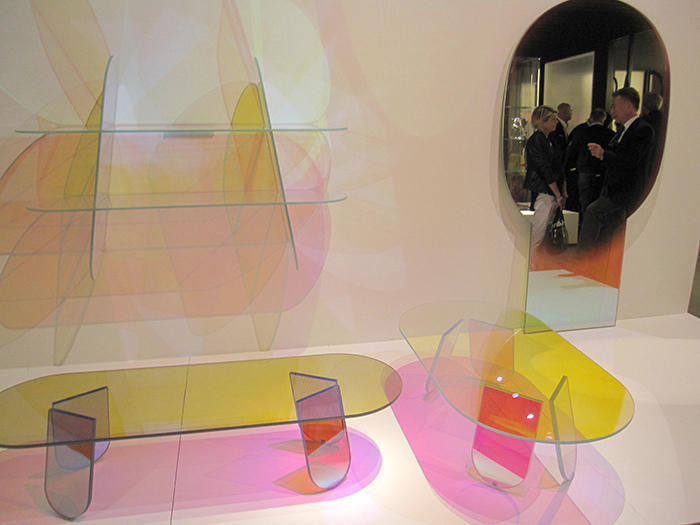 Art Institute of Chicago, Department of Architecture, Interior Architecture and Designed Objects, reveals a play on color and shadow at Spazio Rossana Orlandi (bottom). IMD Institute for Material Design, the graduate program for material innovation in Offenbach, Germany, joins forces with BMW to develop a reactive wood surface. 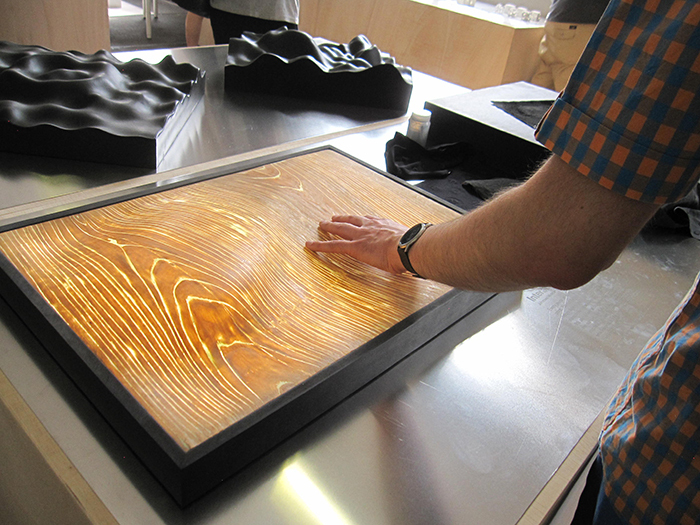 Achieving light and translucency, LED backlit wood veneer senses the human touch to shine through the wood grain. An off-shoot of the Reveal theme is laced up. Pattern formed by space and mass continue to deliver beauty and cultural lacework across all materials. 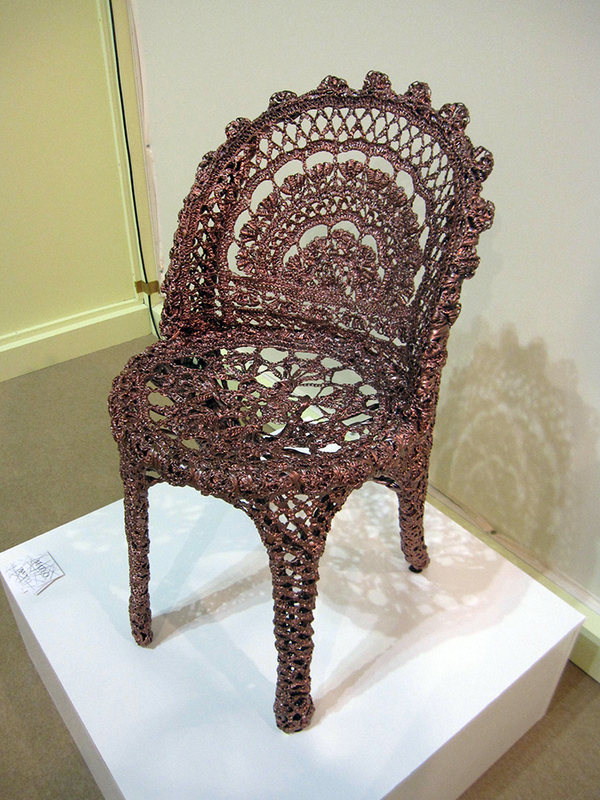 Cristina Mateo lace chair at Satellite 2015. 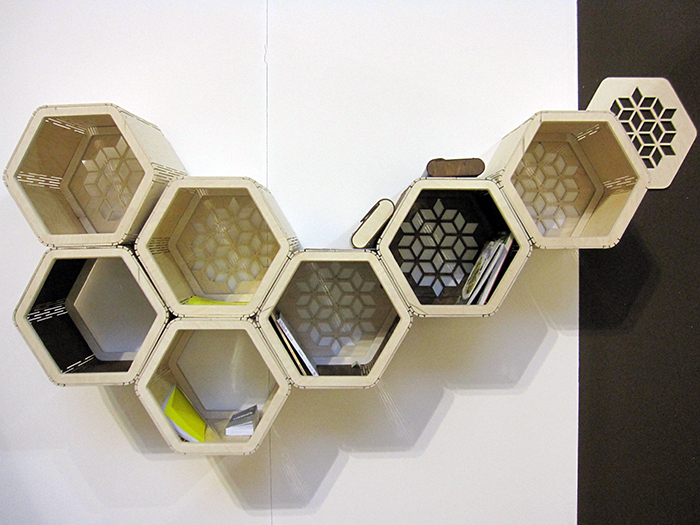 Art Guild’s skillful patterning inside honeycomb shapes for textural dimension. 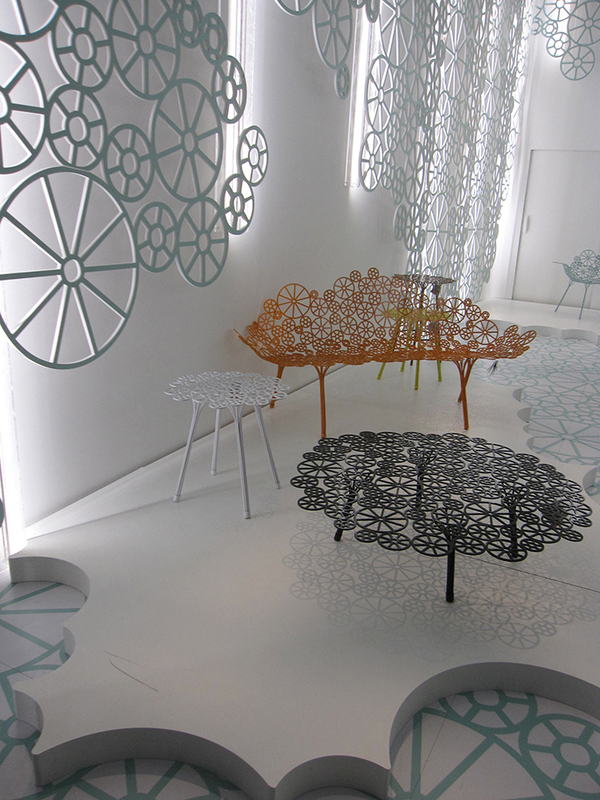 Structural lace in architecture and furniture utilizing hard materials for function. 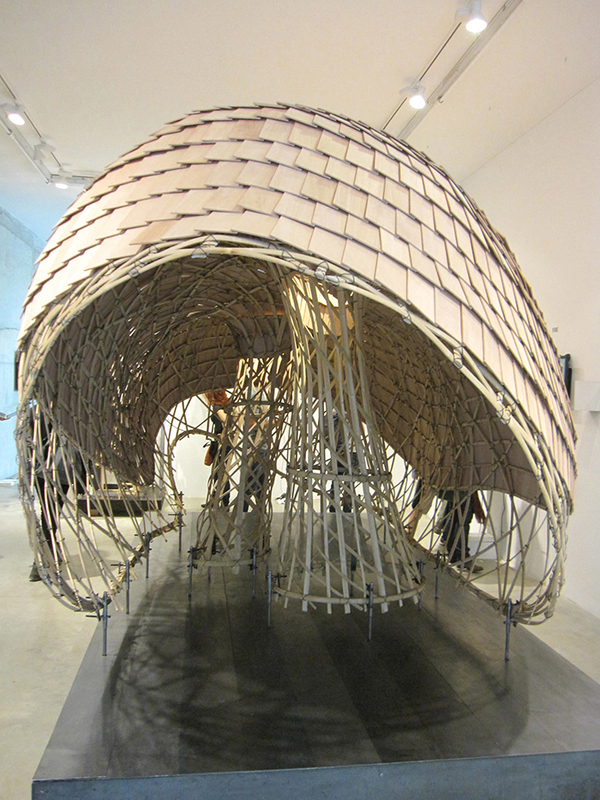 Aarhus University of Architecture in Denmark explores the lattice and lacey effects in architecture (top). 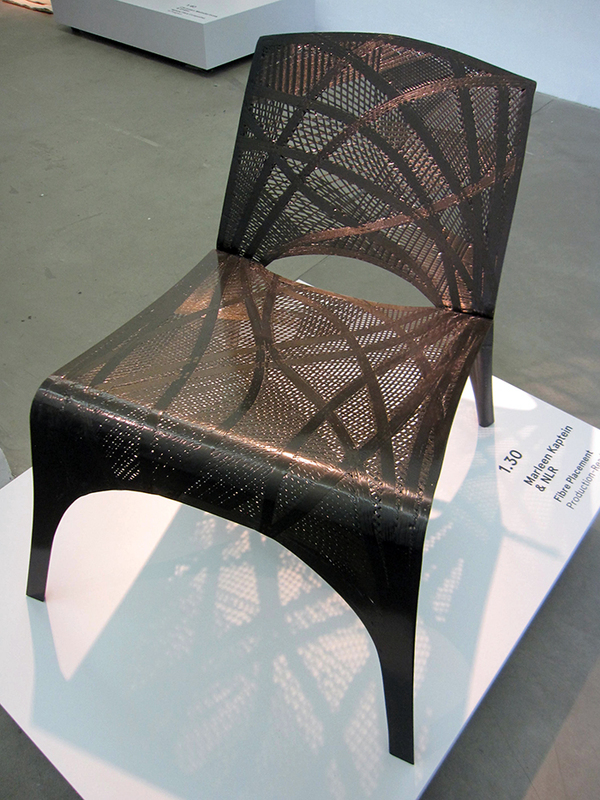 Industrial lace chair made from carbon fiber by Marleen Kaptein & NLR (bottom). 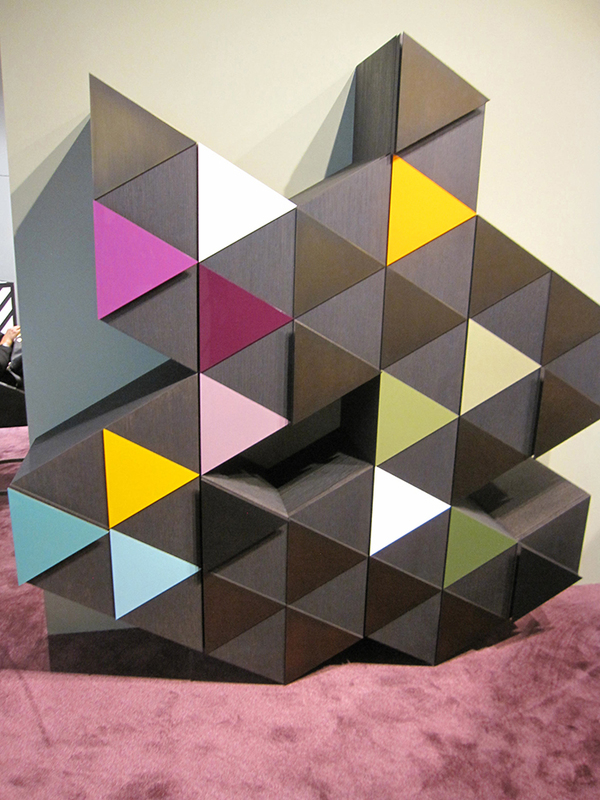 Inlays and marquetry introduce themselves into the contemporary circles, playing with color and shapes for tactile translations. 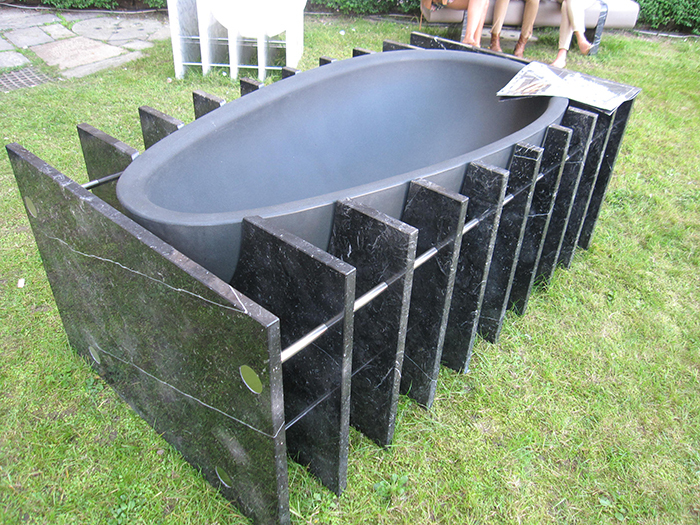 This project gives new meaning to the term “inlaid”. 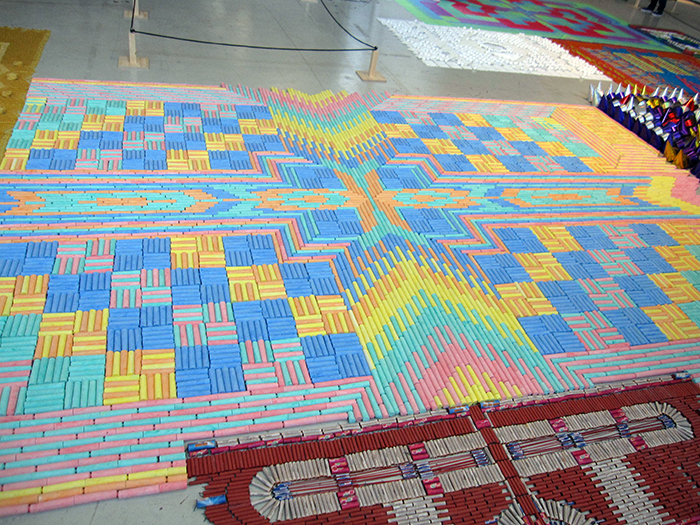 All area “carpet” designs are made from ordinary materials: chalk, Q-tips and cotton swabs, pasta, clothes pins, forks, spoons…and the list goes on. 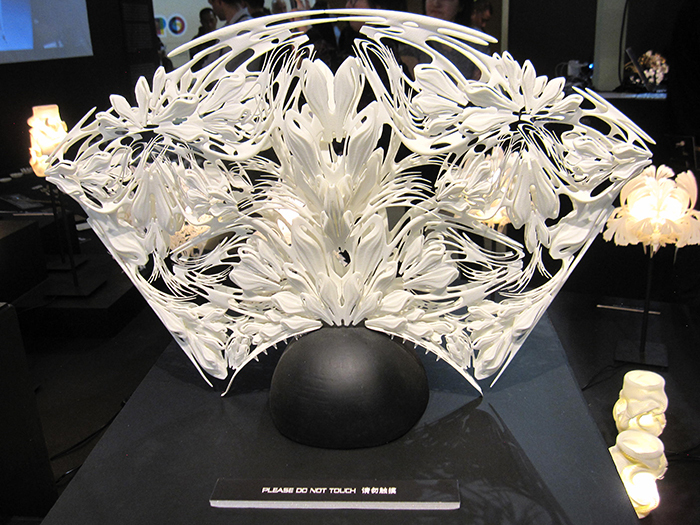 Five designers spent seven 13-hour days to install the intricate designs from these ordinary materials, never to duplicate the same design again (top and bottom)! A theme to which we all can relate. 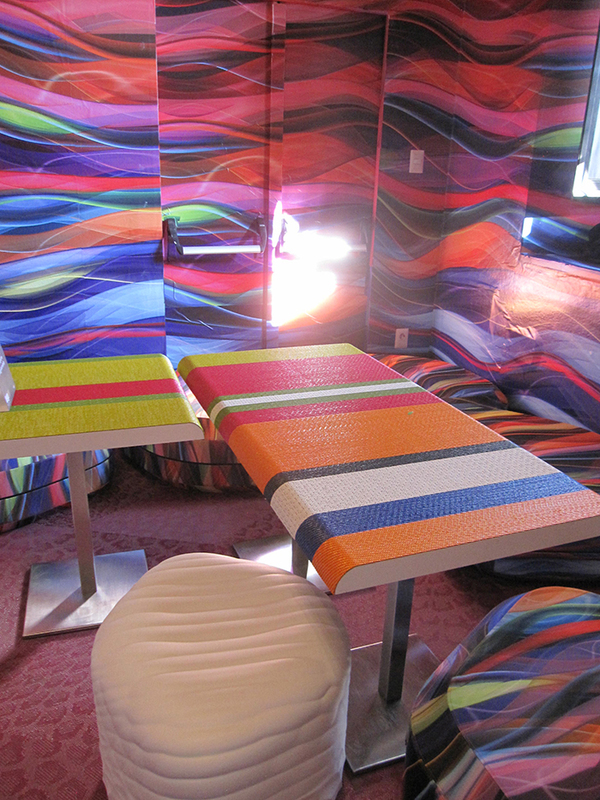 Food abounds with color, texture, and everyday influences on design trends. 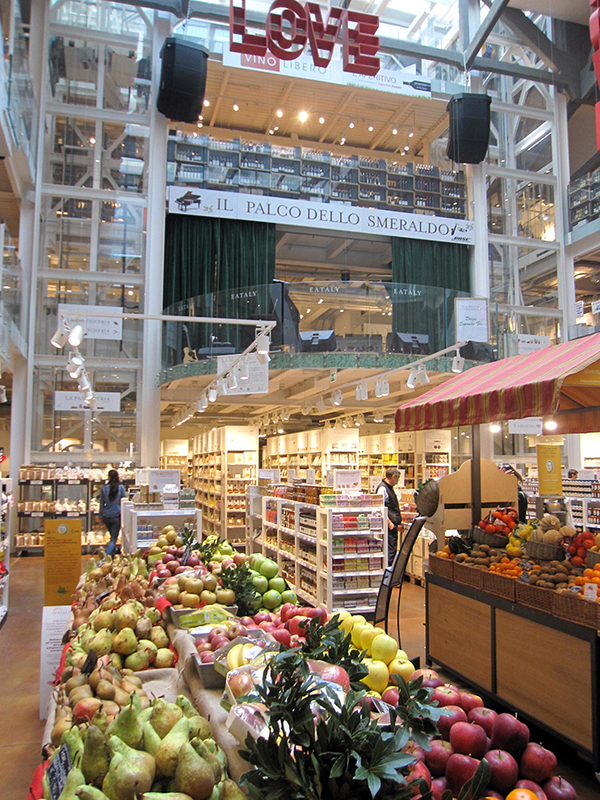 Eataly, in Milan, is a comprehensive culinary experience specializing in all food Italian. 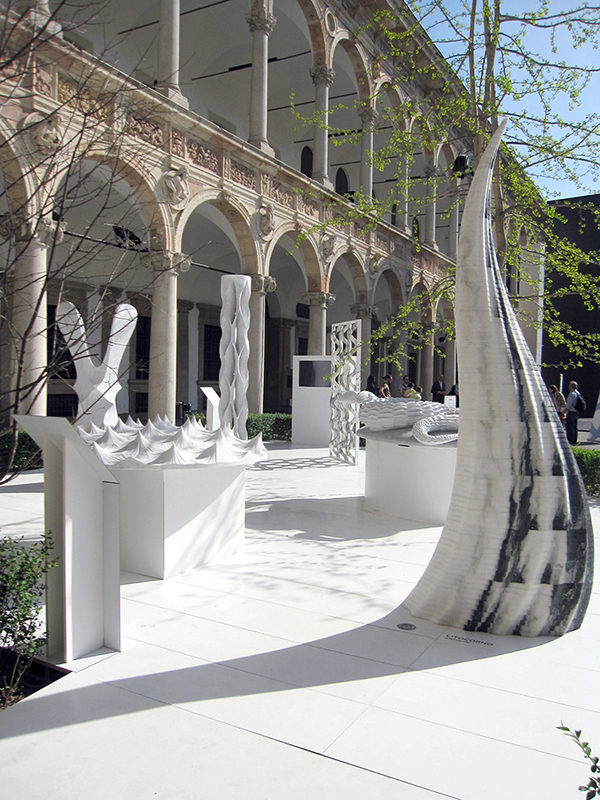 The original concept began in New York City and expanded into Milan in 2014 (top). 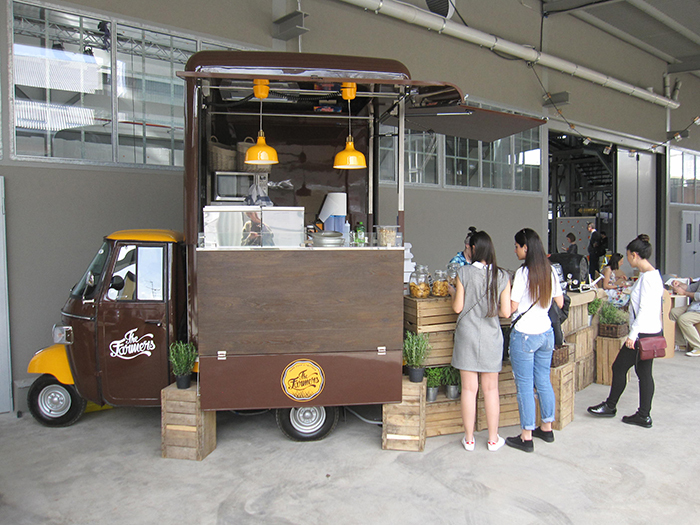 As our lives become more fluid and mobile, food trucks continue to serve at Ventura Lambrate (bottom). 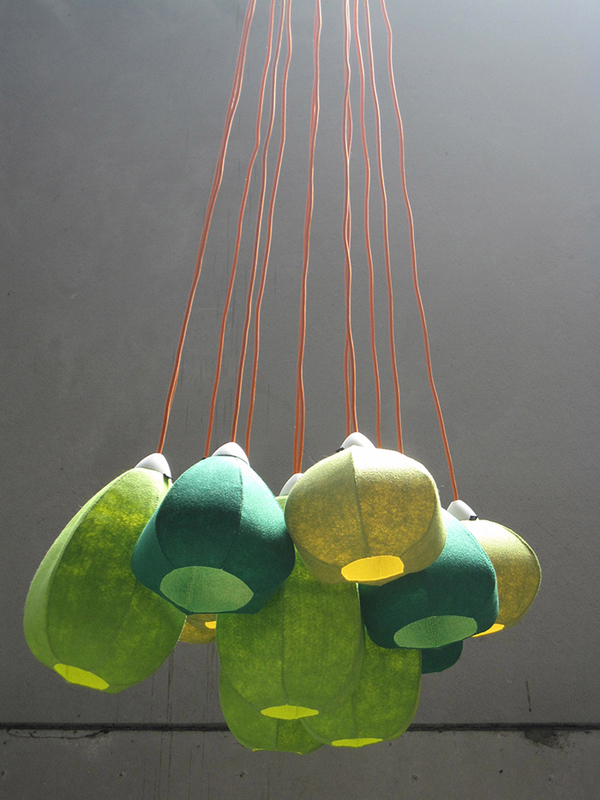 From The Next Habitat of The Netherlands, no longer is 3D printing for synthetic materials. 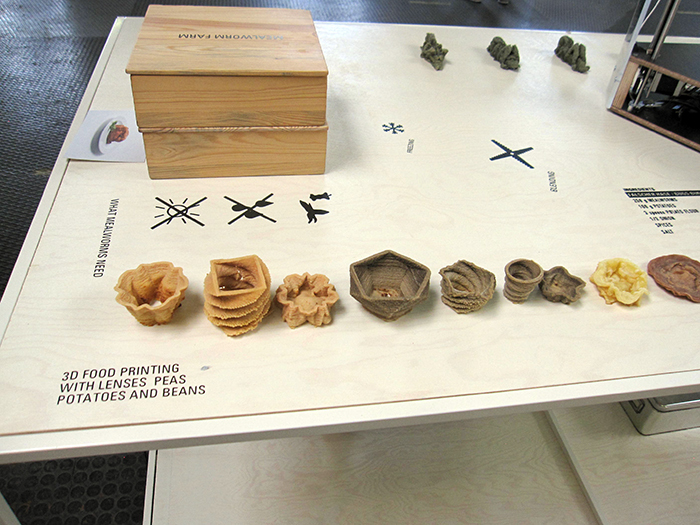 Eatable shapes are cropping up all over the design landscape. 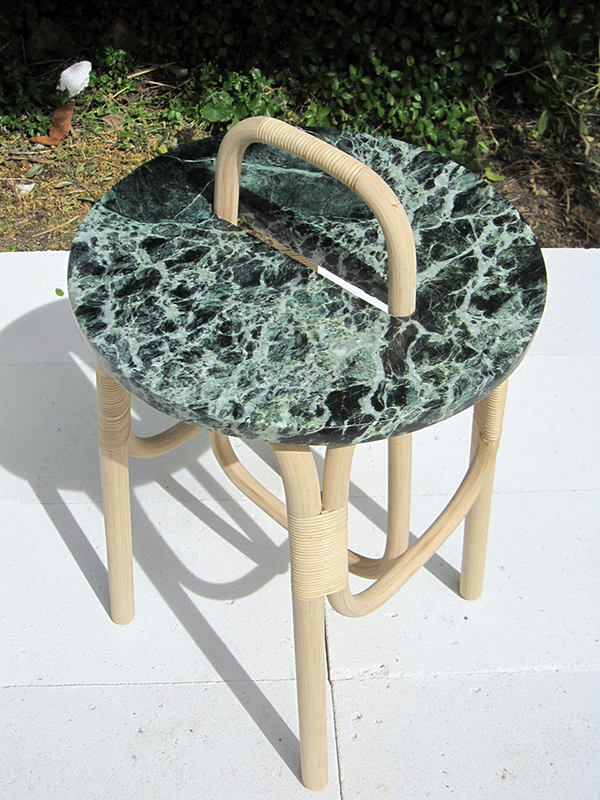 New on the horizon is verde (green) marble. 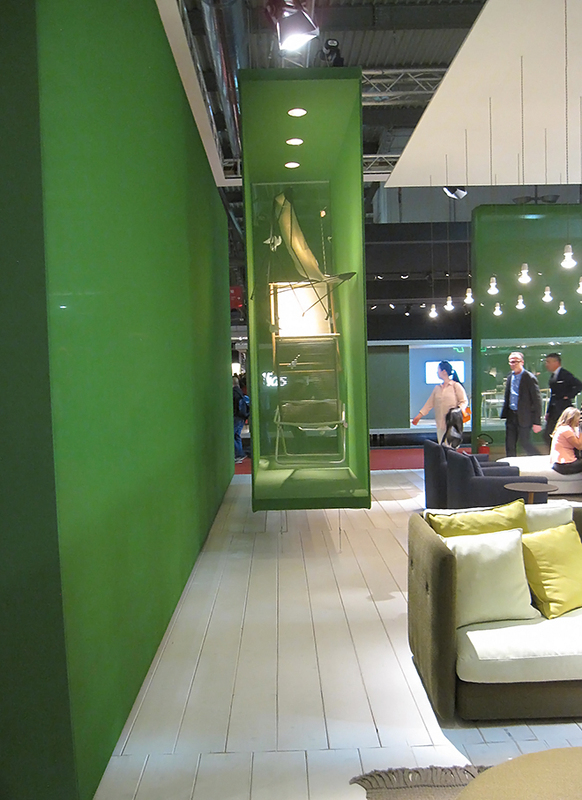 Verde marble from Interni Magazine’s Energy for Creativity exhibition in Milan (two top images). 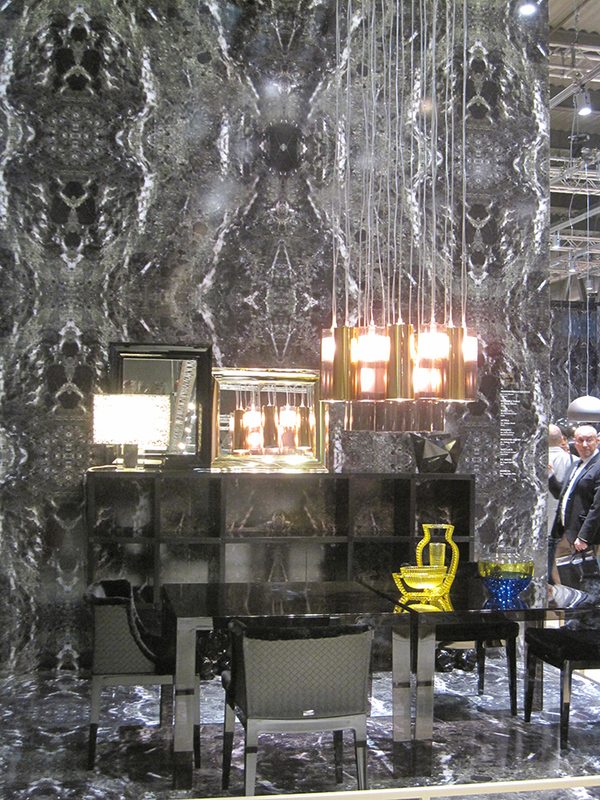 Kartell at iSaloni 2015 in Milan covered walls of digitally printed green marble throughout the booth (bottom). 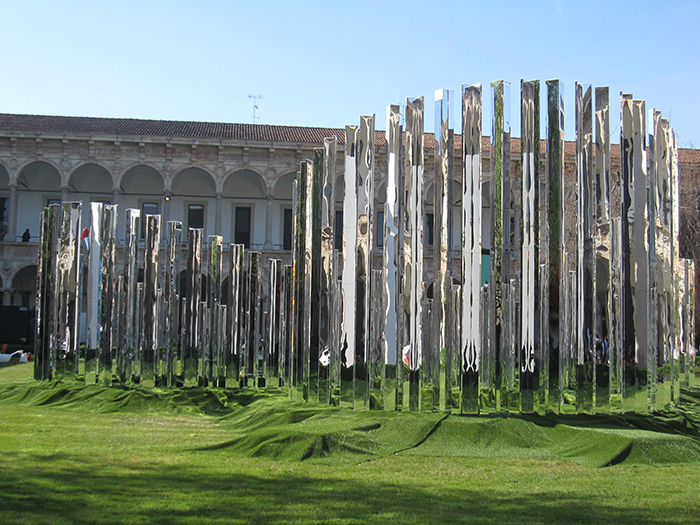 Reflective gardens and mirrored spaces continue to grow at Energy for Creativity with Living Line by Speech Tchoban & Kuznetsov (top). 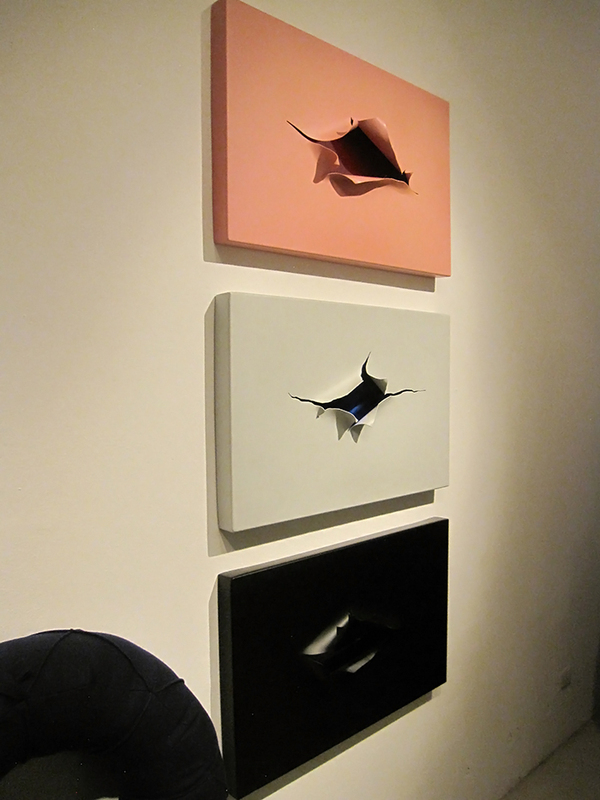 Black Hole by Steve Blatz and Antonio Pio Saracino at Interni Magazine’s Energy for Creativity (bottom). Next time. 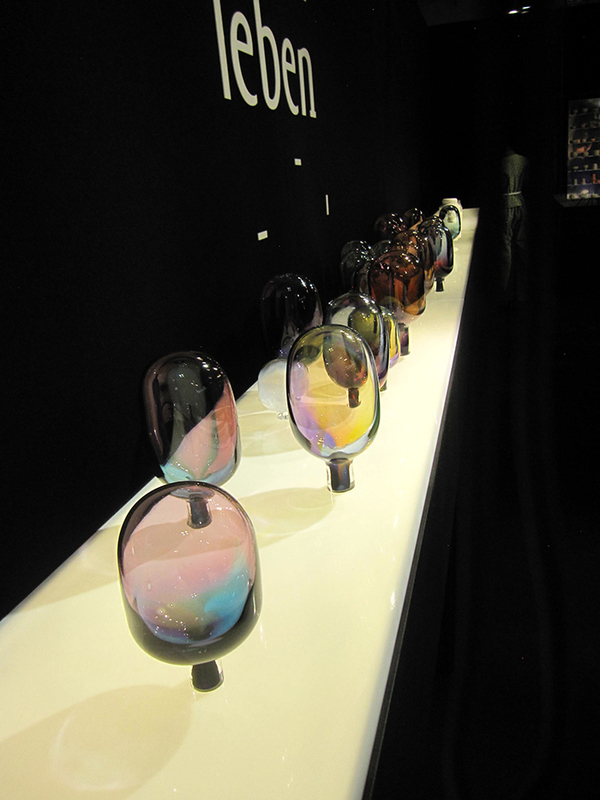 The ColorVoyant Watch will present EuroLuce highlights and design talents from the Milan design week. Stay tuned for more design and color!